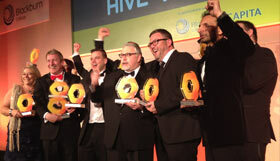 Triple Winners at the Hive Business Awards! It was a successful evening for WEC Group at the Hive Business Awards last night, as we won three out of the four categories we were nominated for! We brought home the trophies for the Manufacturing Excellence Award, the Eureka Award for our unique Employee Benefit Loans Scheme and also the Bright Spark Award, which was won by Production Manager, James Pickles, for making a positive impact in the workplace and for the vital role he plays in the company. The judges were impressed with our very high manufacturing standards and our ambitious expansion plans. We were also commended for our commitment to apprenticeships and our continuous investments in state-of-the-art technology. We won this award based on our innovative Employee Benefit Loan Scheme. 47 loans have been granted to our staff so far, amounting to £55,000 over the past six months. The EBL scheme aims to combat debt caused by high interest payday loans. James Pickles blew the judges away with his achievements in the under 30 category. He was recognised for the positive impact he has made in the workplace with the introduction of lean manufacturing processes and his contribution towards the set up of the new powder coating division. 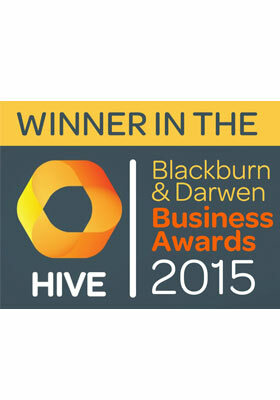 The Hive Business Awards is the first ever event to celebrate the best of business in Blackburn with Darwen, and the Hive is a group of business leaders working together to inspire prosperity. We are one of the many companies in Blackburn with Darwen who support the plan for prosperity which aims to create new jobs in the Borough, to get more residents in work and bring new investment to the town. We were up against some fantastic businesses and winning these awards is a huge achievement for us. It's going to be another exciting year for us at WEC Group and we are looking forward to the new challenges it may bring. If you would like to discuss Employee Benefit Loans and how they could help your staff, please contact Wayne Wild on waynewild@wecl.co.uk or call 01254 773 718.